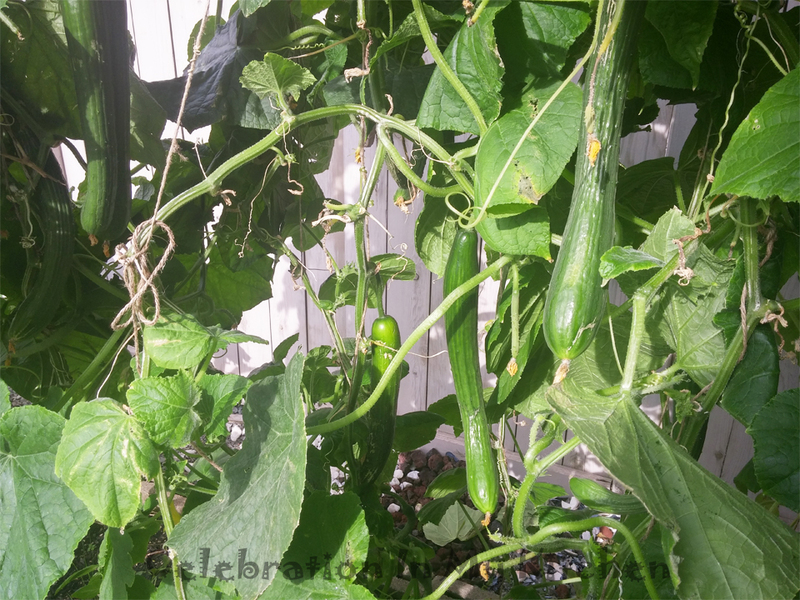 ​With the beautiful hot weather this summer, we had a bountiful yield of vegetables from our garden. 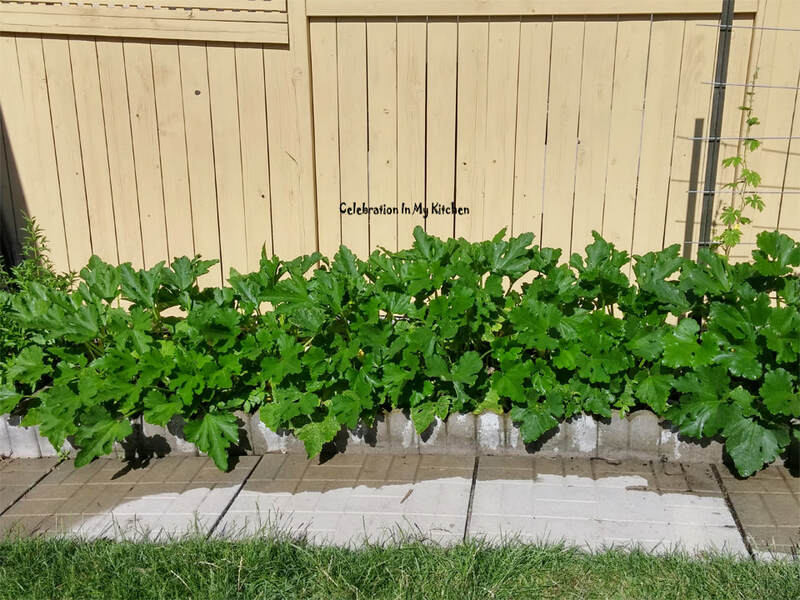 The English cucumber plant (picture below) beat the rest and we harvested more than 50 cucumbers throughout the season. 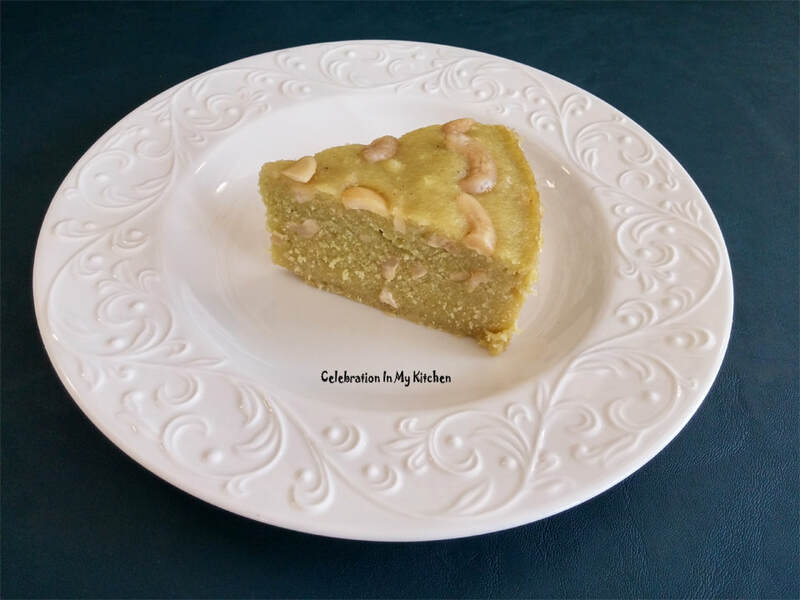 Though we consumed a cucumber daily for salad, I also made tavsali (cucumber cake) and cucumber sweet sannas. The difference between tavsali and mandas is that the former is made with semolina (rava) or rice. 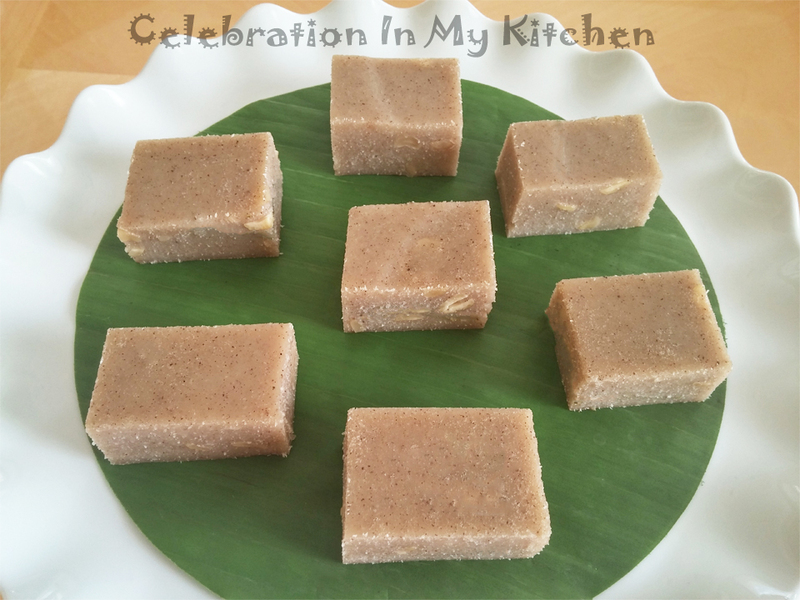 Moreover, the coconut and jaggery are mixed in the batter and not ground to a paste with the rice. 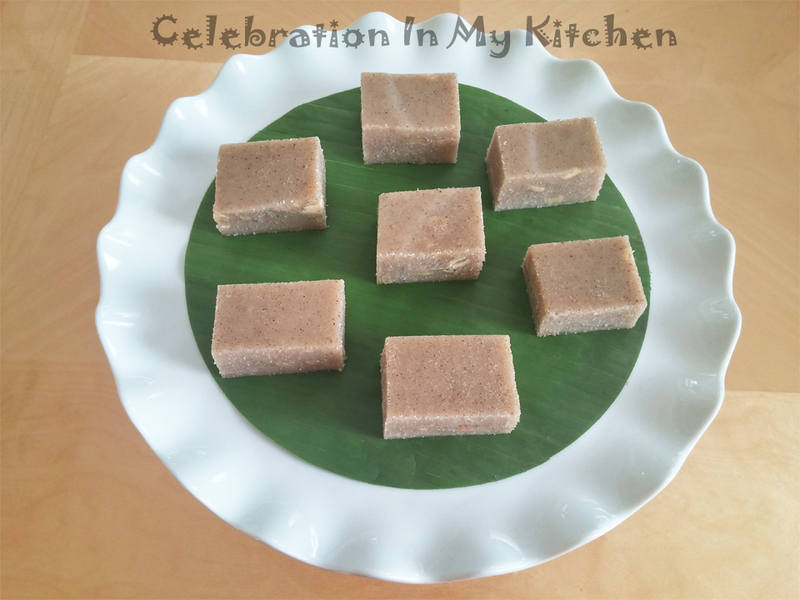 Mandas is a traditional Mangalorean sweet dish prepared with rice, cucumber and jaggery. 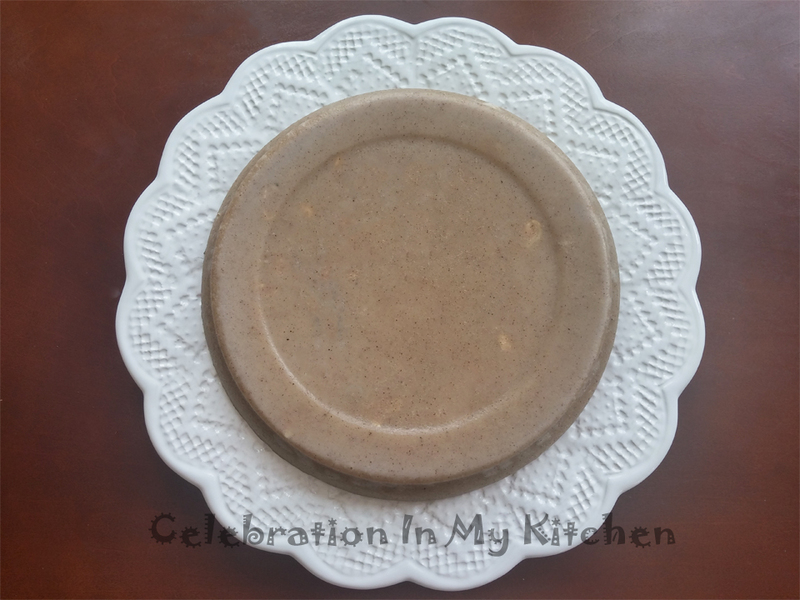 Soaked parboiled rice is blended with cucumber and jaggery to a paste. 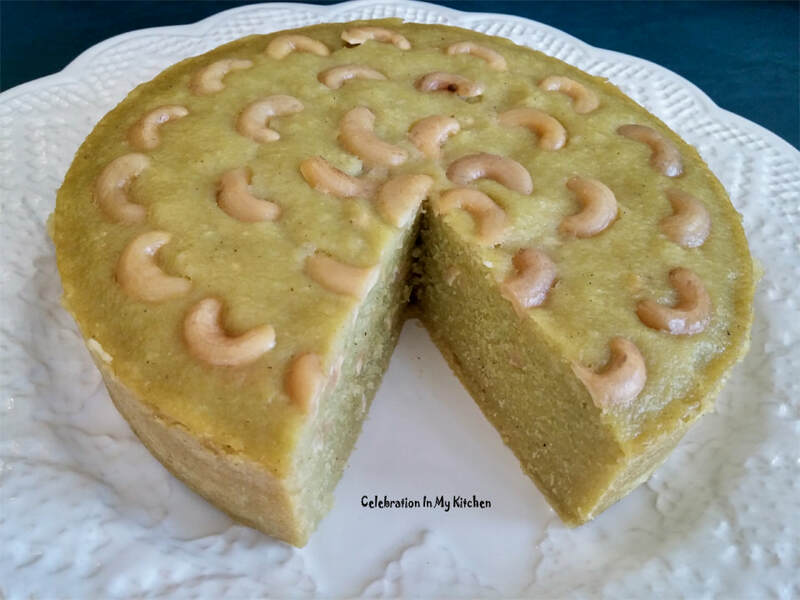 The batter is set aside to rest for sometime before mixing in cashewnuts and cardamom powder, which is then either baked or steamed on a banana leaf. I have incorporated a couple of small turmeric leaves in the batter for flavour. Dense in texture, this cake is sweet and perfect for breakfast or evening tea. For health benefits on cucumbers, click here. 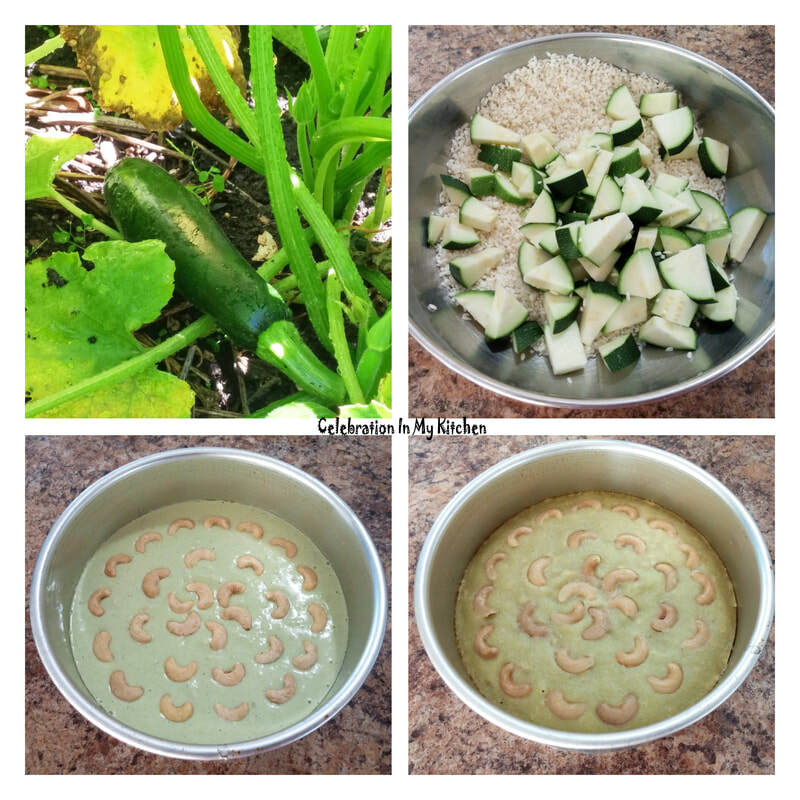 Peel cucumber, cut and scoop out any large seeds. Chop into pieces and set aside. Add cashewnuts and cardamom powder to the batter. Heat the steamer with water and lightly grease a cake pan or deep container. Pour batter and steam till a knife inserted in the centre comes out clean, around 30 minutes. Carefully remove the mould from the steamer and place in a dish with little water to cool. Run a knife along the edge of the mould. The cake will come off easily. Cut into pieces and serve. Enjoy mandas warm or at room temperature. The batter can be poured on a banana leaf before steaming. I have incorporated a couple of small turmeric leaves in the batter for flavour. To bake, preheat oven to 350 F or 180 C. Grease and line a cake pan with parchment paper. 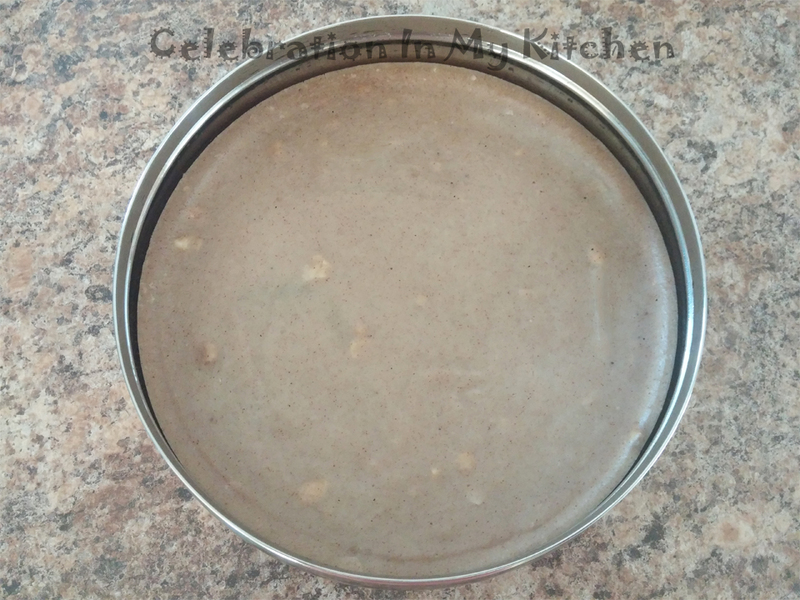 Pour batter into the cake pan and bake till a toothpick inserted in the centre comes out clean. 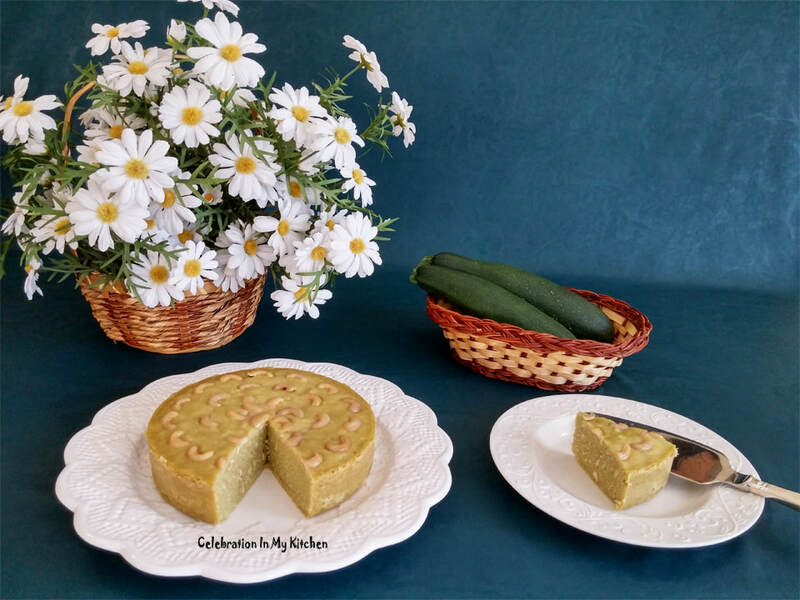 Zucchini Mandas - cucumber substituted with one zucchini (380 grams) from our garden (pictures below).